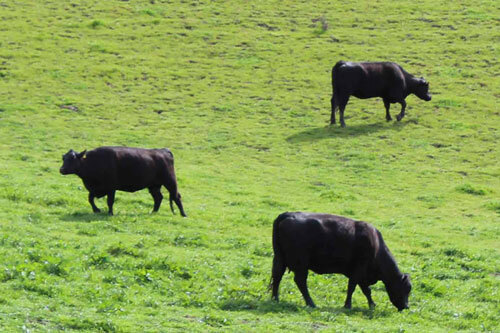 Grass is the natural feed for cattle and grassfed beef is delicious! The prices of corn and soy have skyrocketed recently. Have most ranchers returned to grass? After all, the great advantage of corn and soy as feed was that they were cheap. Sadly, the answer is no. The amount of corn and soy fed to cattle, which is almost always GMO, has declined greatly because of the high price. But it is being replaced by ingredients that are even less appealing. Ingredients such as expired candy, cookies, marshmallows, gummy worms, fruit loops, and a host of other industrial foods that are full of sugar and chemicals, often including high fructose corn syrup, and almost always containing GMOs. Another line of the new feed consists of the plant residue from distilling corn for ethanol, and the leftovers from milling flour, along with cottonseed hulls. I would suggest that they just return to grass. Why Is Garbage Being Used to Feed Cattle? Because this garbage is much cheaper than corn and soy. What is actually happening is that food products that have been thrown out are being gathered and sold as animal feed. It is fair to call these things garbage, because they were actually thrown away, as garbage. The justification behind doing this is the claim that you can take this garbage and turn it into food by feeding it to cows. In fact, farmers who do this are being commended for their “creativity.” Another word comes to mind, but I am not going to use it here. And garbage is cheap, though the price is going up as demand increases. The proponents of feeding this garbage to cattle claim that ruminants, designed to eat grass, can turn this garbage into food just by eating it. No mention is made of what eating this stuff does to cattle, or what it does to the content of the meat. And as far as I know, no one has studied the effect of eating meat from garbage-fed cattle on people. Nor has anyone done an impartial study on the effects that eating this garbage would have on the nutritional content of the meat. The FDA and USDA allow this practice, so it must be safe. But it certainly is not desirable, at least not to those of us who want to eat meat from cattle that are eating their natural diet. After all, the old saying, “You are what you eat,” is just as true for cattle just as it is for humans. Herds of cattle used to be raised near distilleries in many cities in the nineteenth century. The cattle were fed the grain mash left over from distilling the grains into whiskey. This garbage had little or no nutritional value, and the cows whose diet consisted entirely of this slop were weak and sick. The milk from cattle fed this swill was bluish in color, and so thin that flour and chalk were added to it to make it resemble healthy milk. But this milk was not healthy, and huge numbers of children died from drinking it. In fact, pasteurization was developed to deal with this problem. Eventually, these kinds of dairies were banned. Now, the mash left over from making ethanol is being sold as cattle feed. No doubt the cows that are fed this stuff are fed many other things as well, rather than having a diet that is 100 percent swill, as was done in the nineteenth century. And I just cannot believe that any decent cattleman would sell bluish milk from a sick cow, in this day and age. And we are protected by the FDA and the USDA. So I am not saying the milk and meat from animals fed this stuff is unsafe. But it appears almost certain that the nutritional quality of the meat and milk from such animals would not be ideal. And since the mash is made from GMO corn, the feed will contain GMOs. But that is nothing new, as almost all the corn and soy previously fed to factory cattle are GMO. In addition to expired candy, factory food, and ethanol mash, many other things are now being fed to cattle in place of soy and corn. These include cottonseed hulls, the waste leftover from making flour at mills, waste products from making rice and potatoes, and probably a lot of other things that used to be thrown out. The cottonseed hulls are particularly unappealing to me, because most cotton is GMO and has been heavily sprayed with pesticides. But the bottom line is that none of these things are the natural food of cattle. Green, living grass is the natural food of cattle. Dried grass, often known as hay, is also a good food for cattle. 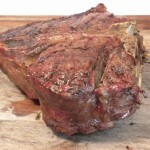 The meat of cattle that are grassfed and grass-finished is much more nutritious than meat from cattle fattened on grains in a feedlot, as seen in this informative article at EatWild.com, Health Benefits of Grass-fed Products. Surely grassfed meat is also much more nutritious than the meat of garbage-fed cattle. And grassfed meat is much tastier than the grain-finished variety, when properly cooked, which is why I wrote Tender Grassfed Meat: Traditional Ways to Cook Healthy Meat and Tender Grassfed Barbecue: Traditional, Primal and Paleo. This is yet another reason why I will continue to only eat grassfed and grass-finished meat from a producer I know and trust. 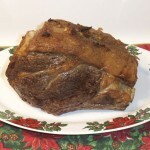 This post is part of Monday Mania, Fat Tuesday, Real Food Wednesday, Fight Back Friday, and Freaky Friday blog carnivals.